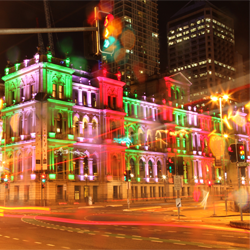 If you like gambling and are headed to Brisbane, definitely check out Treasury Casino. This casino is more than simply a place to go and gamble. There are numerous amenities located on the grounds. In fact, these amenities are excellent, with five star accommodations. 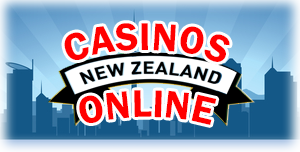 This is considered one of the top casinos for australians. If you check it out, you will likely be very pleased. The first thing that a lot of people are probably wondering is, can I stay there? The answer is a very resounding yes! There is a hotel located at the casino. Furthermore, this is not just an ordinary hotel. This hotel has been rated at 5 stars! The rooms are extremely comfortable, and they are quite luxurious indeed. There are some excellent amenities in the rooms, such as a mini-bar. If your looking for an excellent place to eat, you can find that at Treasury Casino too. There are actually seven different places that you can go to eat at the casino. If you like Asian food, there is some of that type of cuisine to be found. Fat Noodle serves asian food from a mix of three different asian cultures. In addition to Fat Noodle, you can also order some excellent asian food at Marco Polo. Marco Polo serves quality asian dishes. If you would like something a bit more traditional, that is also quite convenient to find at Treasury Casino. Ryan’s On The Park serves a variety of different types of meals, and they also have a great drink menu! In addition, Market Buffet has a buffet that serves all fresh food, all the time. There are a variety of different types of items on the menu at Market Buffet. The Lab Bar+Restaurant also serves up some delicious dishes. The type of food items served at The Lab Bar+Restaurant are mainstream australian dishes. The quality of their food is considered to be excellent. The atmosphere of this bar and restaurant is also very comfortable and fun. If all your looking for is a bit of a snack, Treasury Casino has you covered. 2Go Snack Bar has a variety of different types of snack foods for sale. The restaurants are regarded as some of the best in the city. If you would like to indulge in entertaining nightlife, you can certainly find it at Treasury Casino! In addition to the restaurant bars, there is also a sports bar located at Treasury Casino. Live and Free At Livewire is open 24 hours, daily. In addition to being able to go for some drinks and the game, this bar also is an excellent place to check out for nightlife. There are often live bands, DJs, and dancing. Apache Cat Tab Bar is a great place to be for your gambling, in addition to enjoying the nightlife. If you are looking for a more nightclub-type environment, you can find that at The Kitty. The Kitty has a VIP room, great music, and also good food to eat. The drink menu is also excellent, with excellent liquors, champagne, beers, and cocktails.